Modern design that is functional and beautiful. 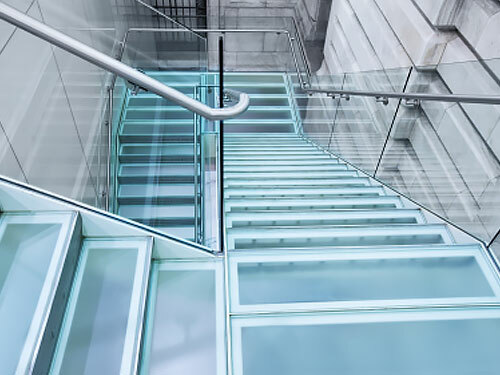 Professionally designed and installed glass railing systems offer the safety and aesthetic appeal to elevate your commercial space and leave a lasting impression. Like windows and glass doors, glass rails and railing systems create a feeling of openness, and allow interior spaces to receive more natural light and visibility. Roadrunner Glass Co. specializes in the design, customization and installation of high-quality, high-performance glass rails and railing systems for businesses throughout the Phoenix area. From new construction to tenant improvements, we can assist at every step of your project.